First game for a few weeks, and Adrian and I opted for a small game combo: a HotT game followed by a small renaissance Armati game (there was a beer in there, too). 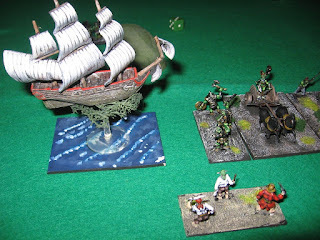 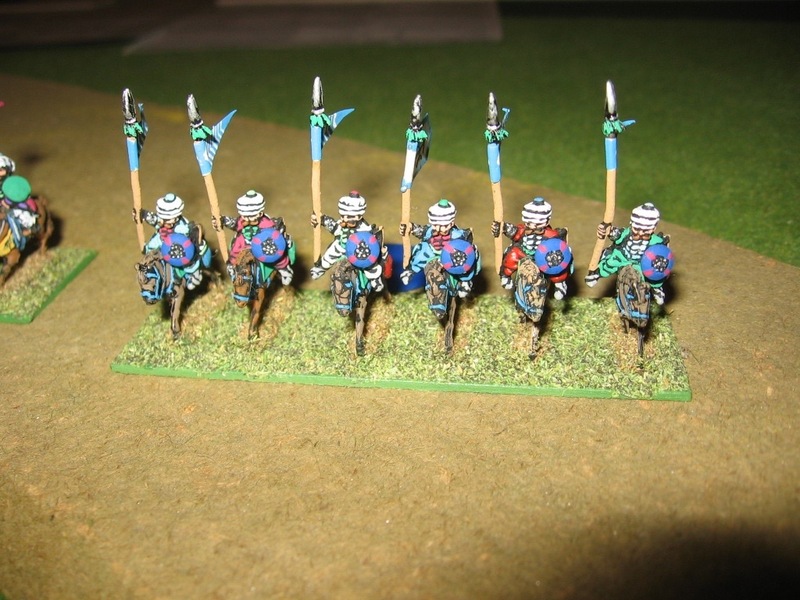 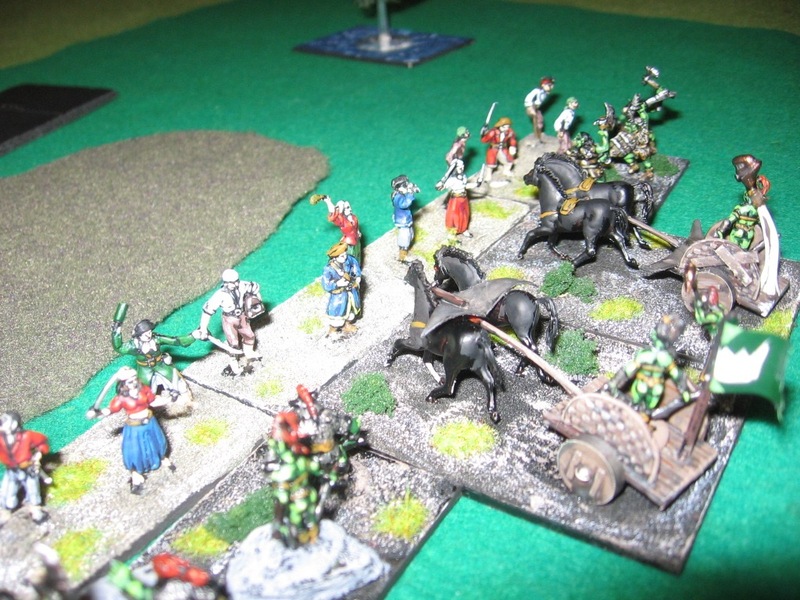 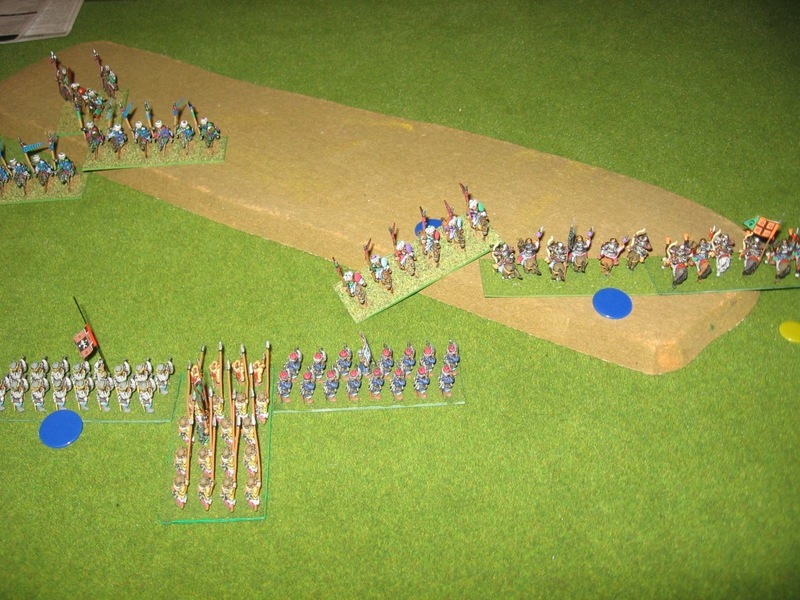 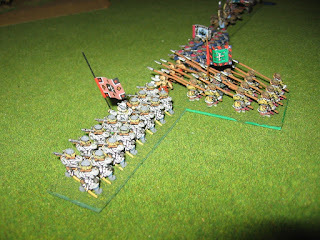 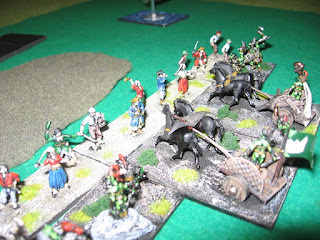 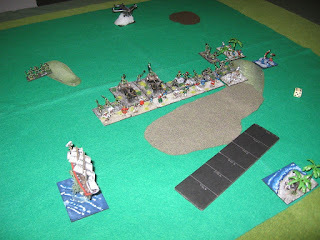 I grabbed my two new HotT armies, orcs and pirates, and opted to field the pirates myself. The pirates were defending, and ended up with a large forest in the centre of their deployment zone. 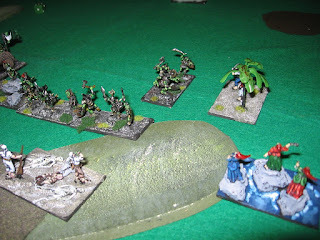 No idea what came over me but I decided to advance out of the forest even though there were two orc chariots (knights) fast approaching. 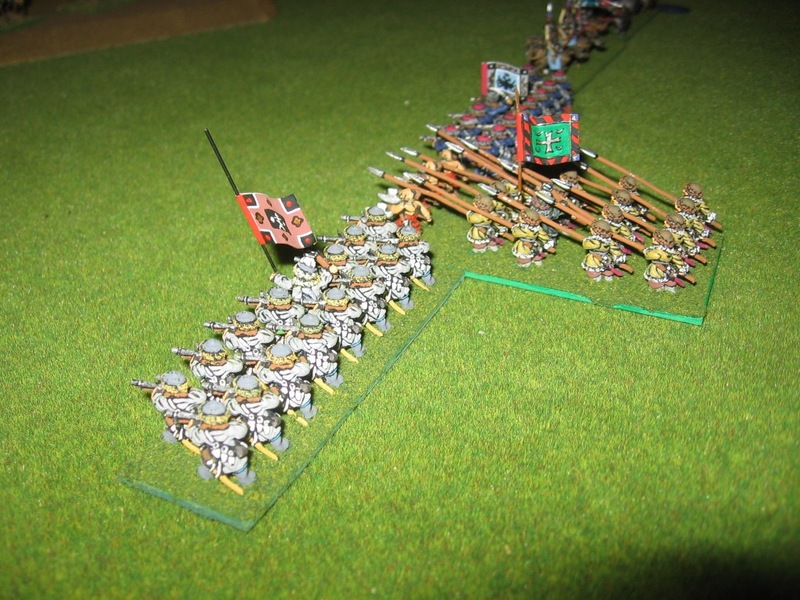 What's worse, I didn't double rank them.. this was never going to end well. 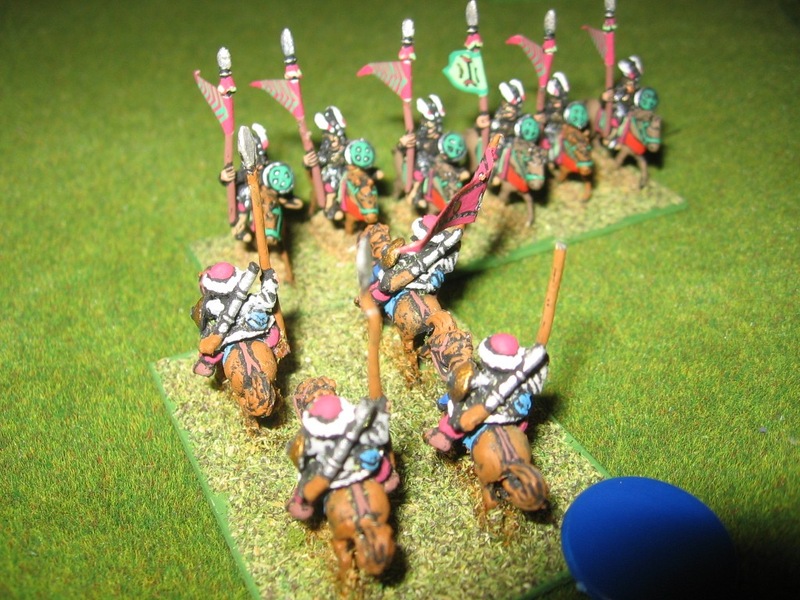 So then it was Muscovites vs Ottomans in an Armati renaissance stoush. 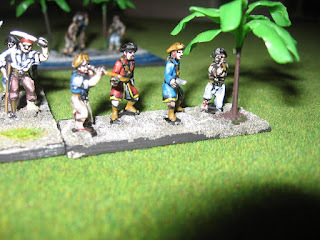 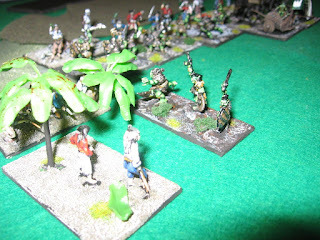 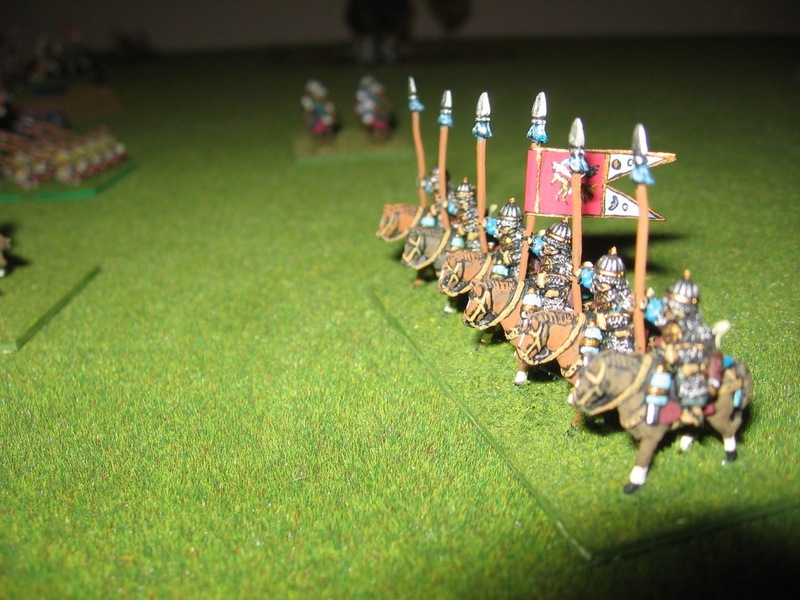 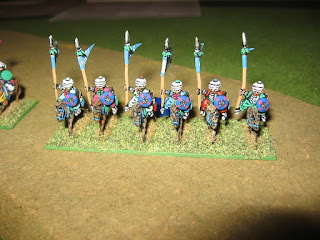 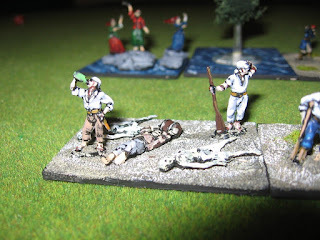 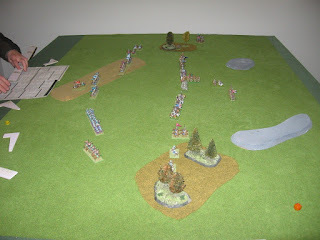 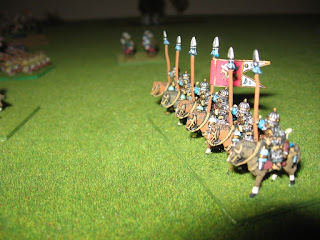 Just a few photos of Adrian's beautiful 15mm figures (mostly Mike's Models IIRC). 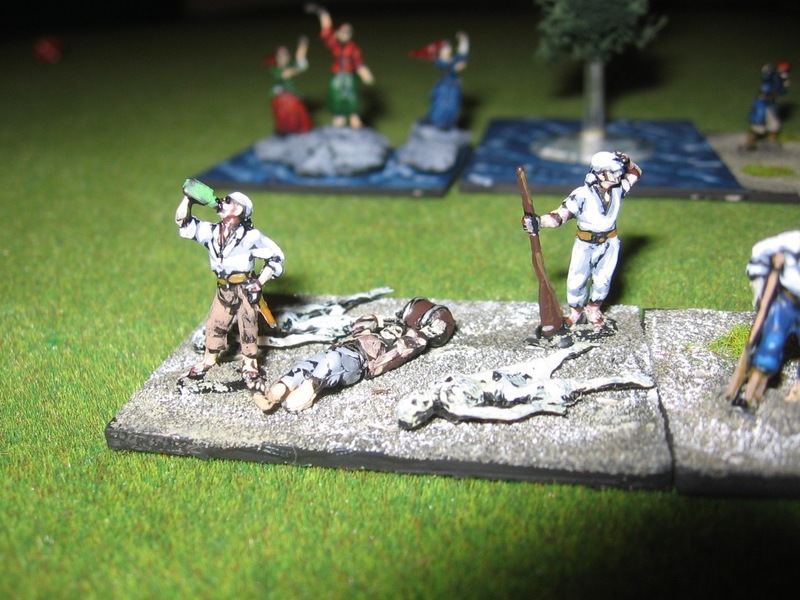 Suffice it to say that I commanded the Muscovite army, and was for the second time in the evening handed my 'head on a pike'. A great evening with two awesome games. 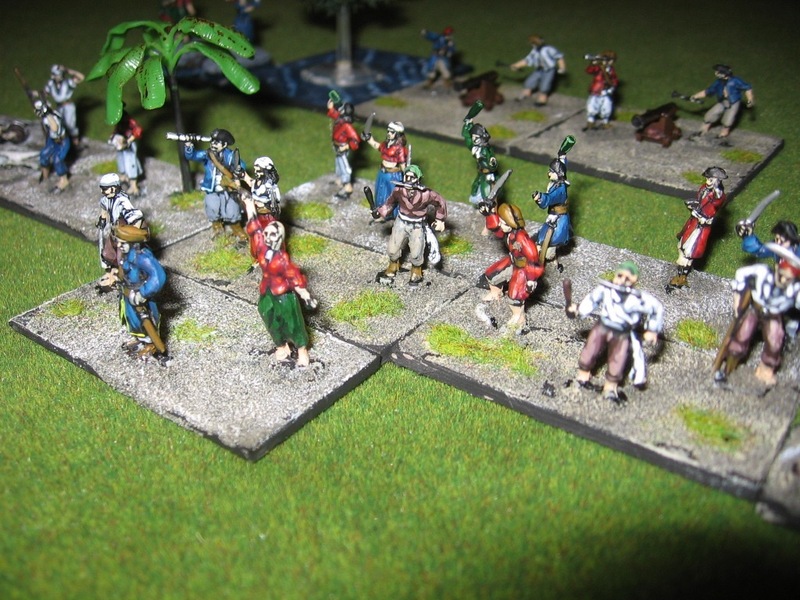 The Pirate army is finally finished, a relatively quick army in the scheme of things. 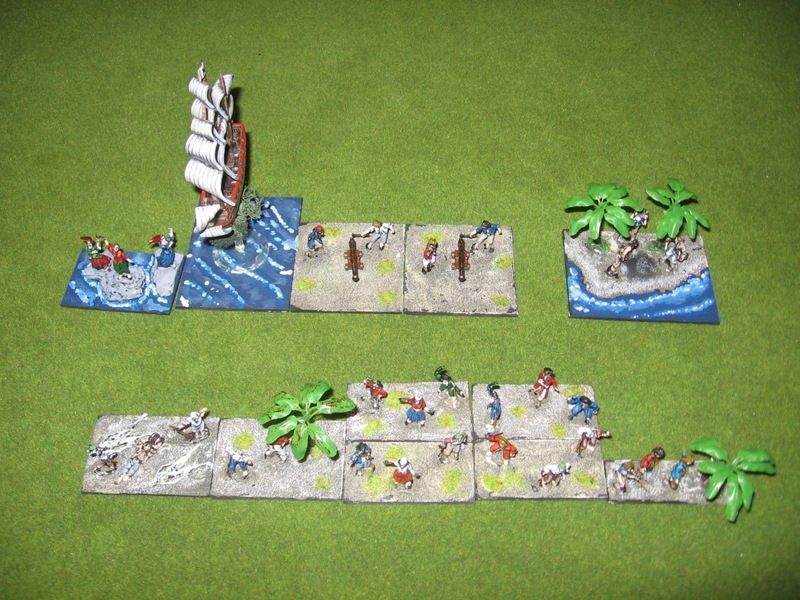 It took one box of Pirates, the single galleon model I acquired some years ago, and a few palm trees. 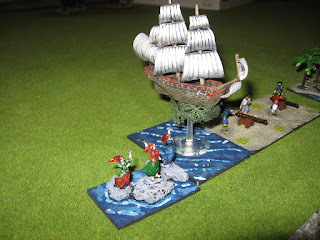 Not sure the army will be very powerful, but I'm thinking it's going to be fun to play.. lots of "arrrrrrr'ing" and "ahoy there, me 'earties" across the table eh!!! 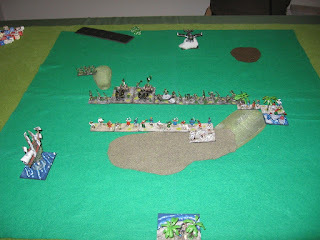 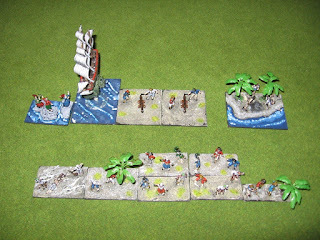 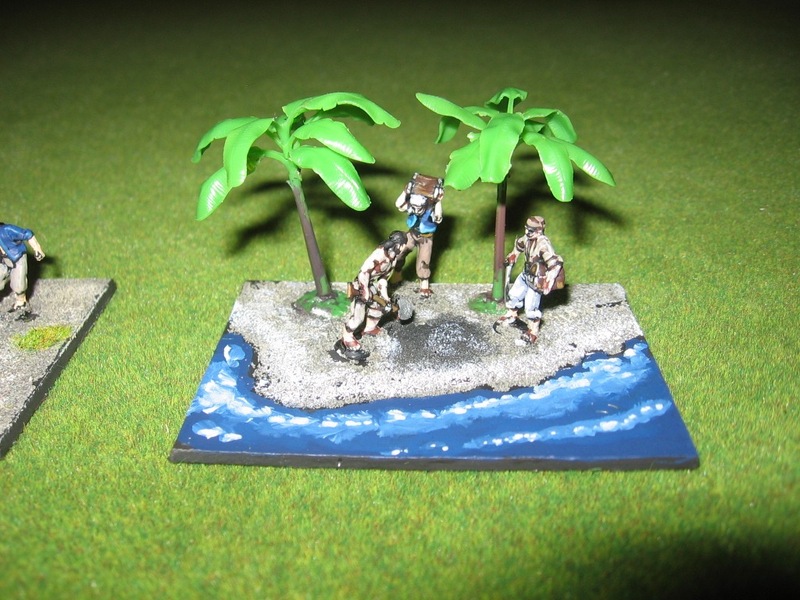 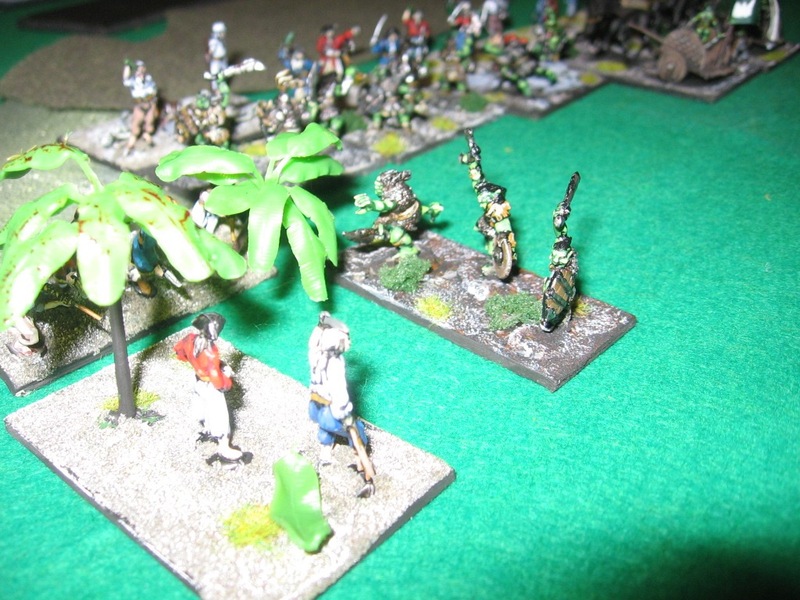 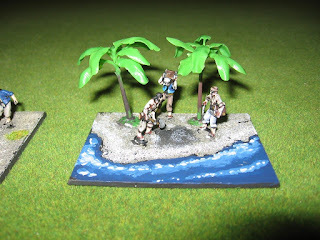 Three more bases added for the Pirates: A Horde (featuring pirates lying around, as I thought they would), a shooter, and the camp, seen at the right rear of this photo, featuring three pirates burying treasure on a beachy shore. I just need to complete one more two point base so that I can accommodate several variations for the army, and it will be complete.